Happy Friday! I want to introduce you to my friend Marilyn from 4 You With Love to share an awesome DIY Beauty recipe and GIVEAWAY today! I know a lot of my readers love accessories and beauty, and Marilyn continually inspires me with her beauty recipes. Not only is she sharing a wonderful tutorial today, but she is also offering a giveaway to a Happy Hour Projects reader for a set of lavender buds and lavender essential oil! If you don’t already know Marilyn, I sure hope you enjoy getting to know her today – she is one of my favorite bloggers! “Howdy” to all of the followers here at Happy Hour Projects. 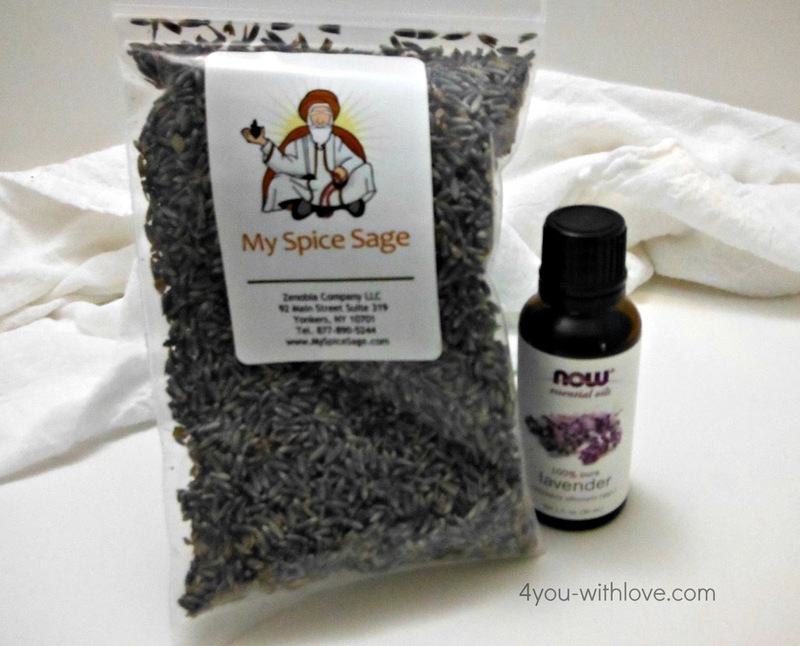 I’m Marilyn and I blog over at 4 You With Love where you will find projects that “infuse love” into every day. You’ll find all sorts of inspiration ranging from crafts, knitting projects, TONS of recipes and so much more! 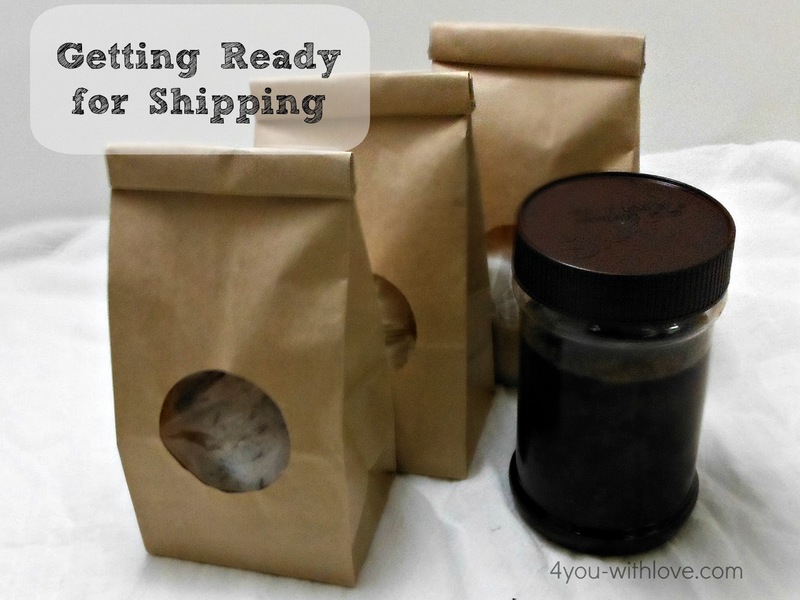 One thing that both Adrianne and I post about are DIY spa goodies. So, today I have 3 goodies to share with you: a spa recipe, inspiration for a spa goodie box for a new mom and a giveaway. First things first. Baths are a quick and easy way to add a bit of pampering into the end of each day. Here’s a recipe that you can easily whip up and you probably have most of these ingredients in your kitchen. Place the oatmeal in a food processor and blend a minute or so until it is powdery in consistency. 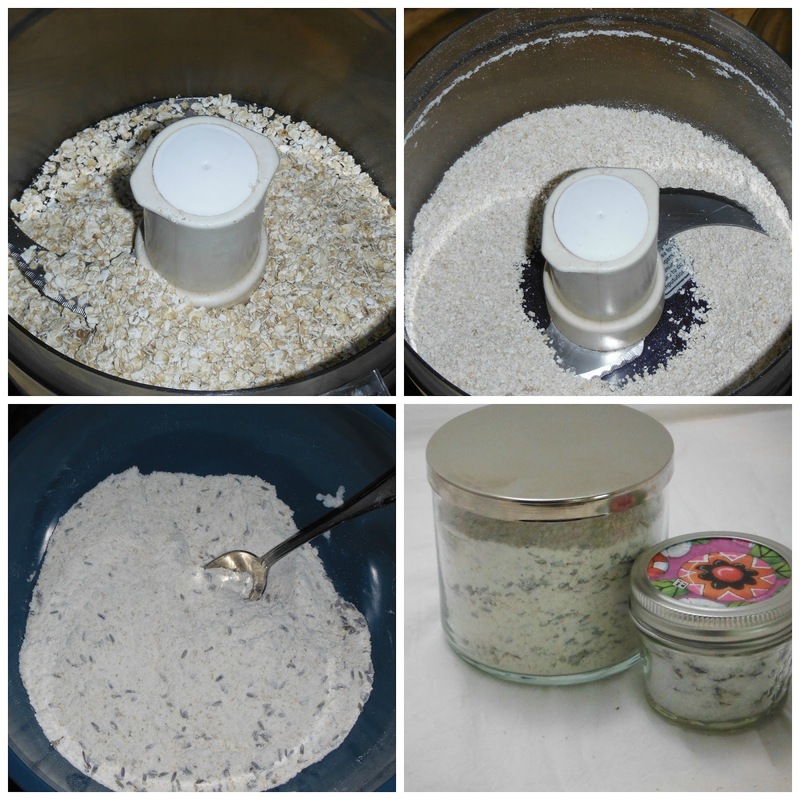 In a large bowl, add the powdered oat meal, instant milk, baking soda, lavender essential oil and lavender buds/flowers. Mix to thoroughly combine the lavender oil. 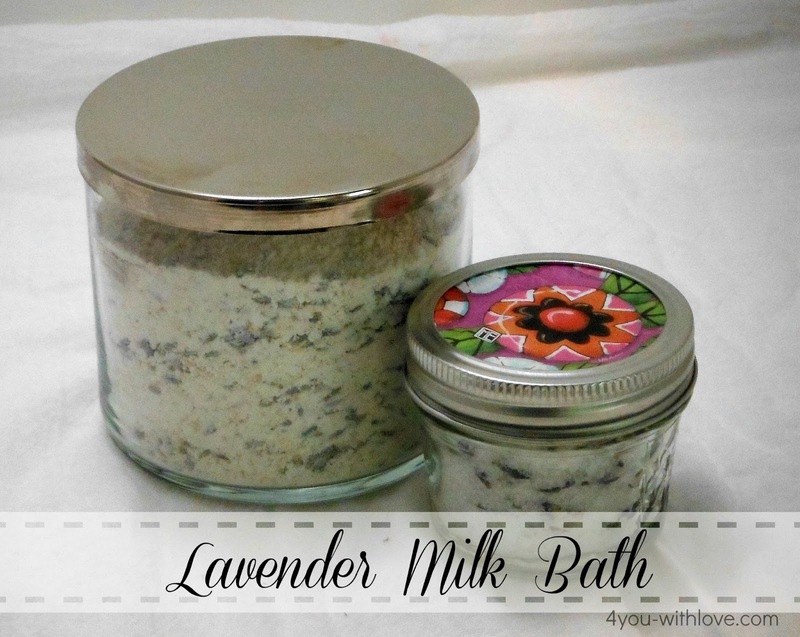 To enjoy your new lavender milk bath, place 4-6 Tbsp under the faucet as you fill your tub! Isn’t it funny how when a woman gives birth, all the showers and gifts are for the baby….not for Mom? Well, I’m thinking that Mom is doing all the work and will be losing TONS of sleep so why not put together a care package for her? DIY spa ideas are wonderful because they are inexpensive to make and easy to customize. You can find all sorts of DIY spa recipes HERE. 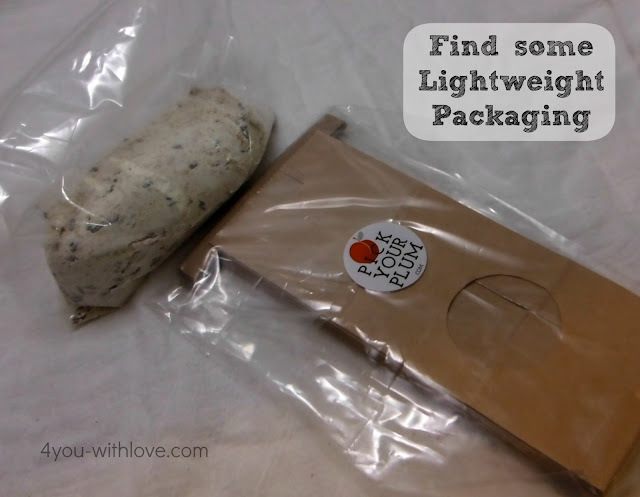 I am mailing my care package (in the summer) so I am looking for recipes that won’t melt or be destroyed by the heat. My selections include: Chocolate Body Scrub, Lavender Bath Salts, Detoxing Foot Soak, and today’s Lavender Milk Bath. I want to keep the weight down, since shipping is so expensive, so I put the powdered goodies in a zip lock bag and found these kraft gift bags from Pick Your Plum. For the chocolate body scrub, I found an old plastic peanut butter jar. Here are my goodies but they look a bit plain. 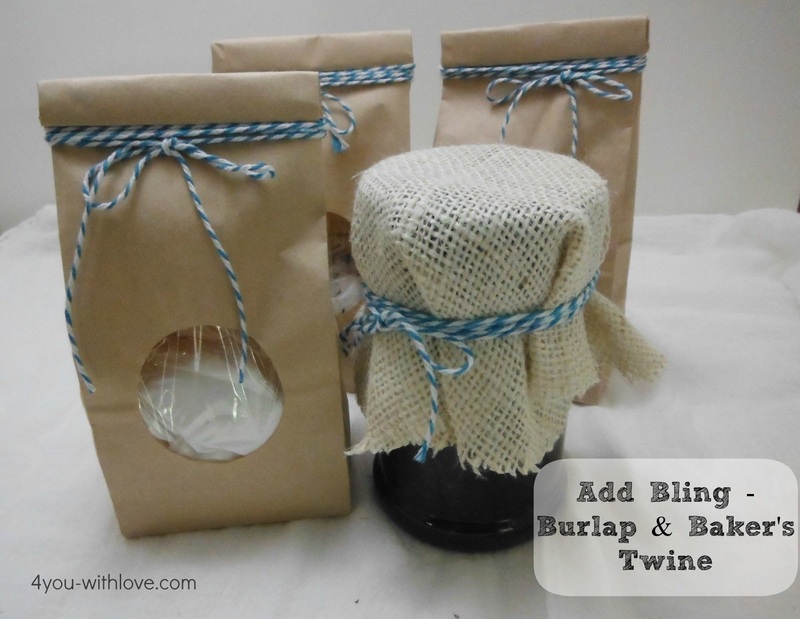 So, out comes the baker’s twine and the burlap to add a bit of bling and pizzazz to these goodies. So, all that is left to do is add some tags to label the goodies along with directions for use. All those new moms will LOVE receiving this in the mail. But that’s not all! Over at 4 You With Love, I host Party Thyme, a monthly spice party where I share recipes and spice information which includes a monthly spice giveaway and recipe link party. All of you are in luck ’cause this giveaway just started TODAY. So, you each have the opportunity to enter to win 2 spicy/aromatic sets! To enter to win the lavender buds/lavender essential oil set, complete the Rafflecopter entry form below. Both of these are only available to everyone in the US. Adrianne, thanks for allowing me to visit today! I hope everyone had as much fun as I did! Simple and elegant! Who wouldn’t love a gift like that? Nice job Marilyn! I love these awesome recipes! Thanks for sharing!! !